Madison Crossings has more to offer than beautiful senior apartments and an amazing community. We also supply an excellent selection of senior-friendly amenities and services. 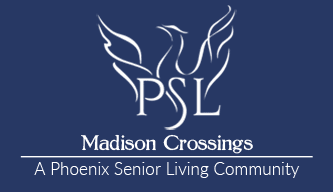 Our professionally trained associates, dedicated to enhancing the lives of our seniors calling Madison Crossings home. From interesting community events to a selection of wellness activities, we’ve thought of everything you need to live a fun, fulfilling and comfortable lifestyle. Learn more about our amenities and services with a personalized tour. We’re here to make you feel at home. When it comes to your loved one, everything matters and it matters to Phoenix Senior Living.